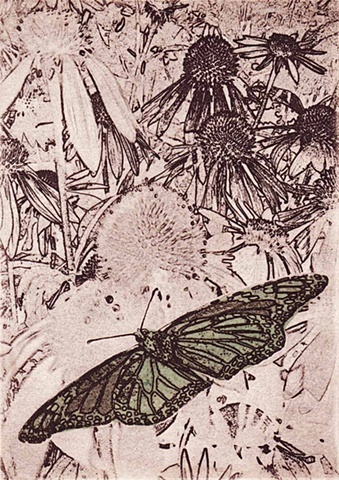 The purple coneflowers (Echinacea purpurea) of my garden and the butterflies that they attract are the subject of this print. I used some of my green-pigmented handmade paper (abaca) to add color to the butterfly via the chine collé process. Edition of 10.